TH March is the UK’s leading jewellery trade insurance brokers, offering unique policies and tailored insurance solutions to meet their customers’ needs. In operation since 1887, they are the appointed brokers of the NAJ, CMJ and NPA. TH March wanted a way to reach their customers to drive better engagement across multiple platforms. Enigen and TH March worked side by side to map out a process of implementation, securing quick wins through the deployment of Oracle Eloqua and Social Cloud while identifying further achievable goals in their roadmap with applications like Oracle Engagement Cloud, working to ensure the integration of these solutions would yield positive results for the business. Comms-care is a leading channel-only provider of IT service solutions, managing all aspects of the IT services spectrum and assisting over 1000 channel partners. As an Ingram Micro company, it is part of the global leader in technology and supply chain services. A project was set up with the Comms-care marketing team to drive GDPR compliance. Enigen and Comms-care worked closely together to identify primary and secondary requirements, define an implementation process and plan that worked for the business, and executed the strategy to a tight target date. Aggregate Industries are one of the largest suppliers of building materials to the construction trade in the UK market. Mainly B2B, the business has a number of different organisations within it that sell complementary products and services to the industry. A project was set up to digitise their commercial processes, drive more mobility, enable closer management across territories and drive technology adoption throughout the organisation. Enigen and Aggregate Industries worked in partnership to understand business processes through a combination of workshops, definition of back office integration approaches, technology selection and created a solution design that focused on user buy-in and customer advocacy through ‘knowing your customer better’. 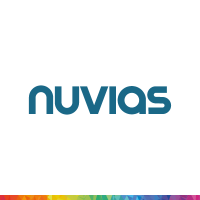 Enigen and Nuvias have worked in partnership throughout the project so far and are looking forward to the continued transformation programme. The Prince’s Trust are a UK focused Charity, focused on helping improve the lives of 13 to 30-year-olds. The Trust has helped more than 825,000 young people since 1976, giving them the skills and confidence to turn their lives around. As a result of the huge success of the charity’s programme, delivering a Digital Transformation Programme was inevitable to support the rapid change and volumes of enquiries. Enigen, have been working with the Trust on how the ongoing young person’s journey can be supported by enhancing and developing the foundations already built, designing and implementing a core platform to remove antiquated systems and poor inconsistent data and processes.